Danielle studies microclimate: how vegetation responds to it; how it may occur in a warmer future; and how it scales up to climate represented at coarser spatial and temporal scales that are commonly used in models. She observes tree seedlings and measures the physical environment in Sequoia National Park to address these ecological questions. In addition, she works to improve awareness of science and the natural world via visualizations and is a member of the Berkeley Center for New Media. Danielle holds a M.S. from ERG and a B.S. in mechanical engineering from Texas A&M University. A view from Danielle’s study site: Red Fir Forest in Sequoia National Park. At times the problem of understanding phenomena is one of seeing. That is why Danielle explores new ways of demystifying complexity through visual representation. 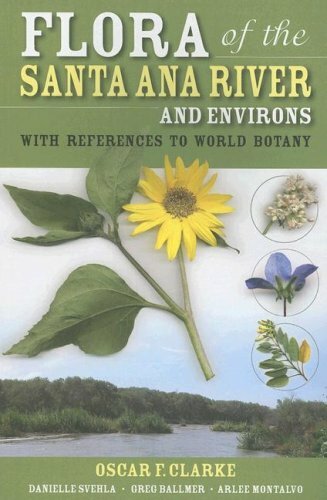 Danielle co-authored “Flora of the Santa Ana River and Environs,” an innovative field guide to the plants occurring in the major Southern Californian watershed. 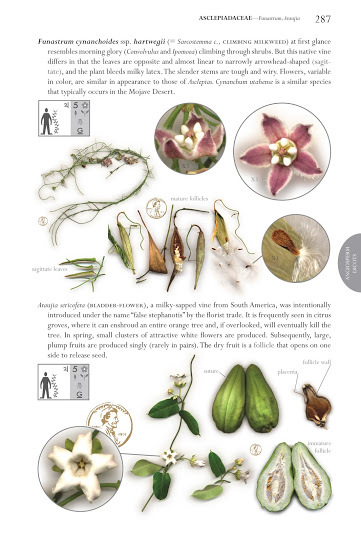 In her ERG master’s project, “Catching the Public Eye: The Promise of Visual Communication in Science Knowledge and Awareness” (2007), she compares the innovative visualizations that she developed for the guide versus the visual techniques of other widely used natural history texts. Danielle continues to investigate visual communication in her Ph.D. research as a member of the Berkeley Center for New Media. She seeks new techniques to illustrate often-forgotten, yet fundamental dependencies between human society and the natural world, as well as new techniques to explain complex science concepts. One such technique is terrestrial laser scanning (also known as LIDAR), which she used to create a 3-D model of her ecological study site in the Sierra Nevada. Color Wheel: A 100m x 100m section of Danielle’s red fir study site in the Sierra Nevada captured with terrestrial laser scanning (Maptek I-Site 4400). In this screen shot of I-Site Studio, she has colored the images so that each individual scan is a separate color. She also developed automated on-line data quality visualizations for the Alpine Treeline Warming Experiment, a climate change study in the Rocky Mountains. In addition to her academic focus on visual communication, Danielle and fellow ERGies founded Climate Change Communicators, a campus-wide working group focused on improving communication of climate change between scientists and the public. Section Slice: Danielle’s red fir forest study site in the Sierra Nevada as captured by terrestrial laser scanning (Maptek I-Site 4400). She views the transect by moving a 10m vertical slice through the site. This is a screen shot of her interaction with the point-cloud data in I-Site Studio. In her ecological research, Danielle conducts a climate-vegetation study in the red fir forests of the Sierra Nevada, California, USA. 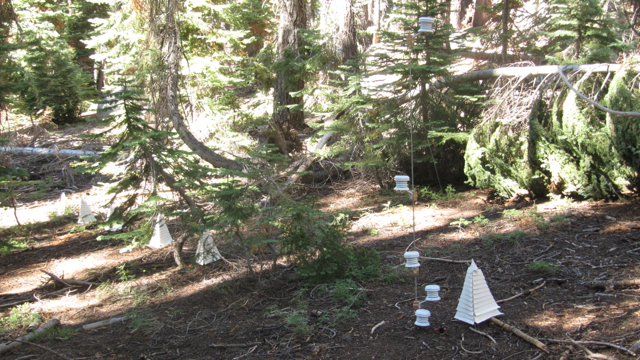 At her field site in Sequoia National Park, she measures environmental variables at small spatial scales. These data coupled with the locations of tree seedlings will allow for the assessment of the microenvironments best suited for seedling establishment, if any, at the relevant spatial scale. Danielle measures the air temperature profile and potential evaporation in her Sierran study site. Additionally, these data will allow for examination of how well large-scale averages of environmental factors used in climate models represent the microenvironments best suited for seedling establishment. Finally, with temporal changes in these data, Danielle will be able to gain insight into how the available microenvironments may change under projected future climates. She will also experimentally address these questions using microenvironmental data from the Alpine Treeline Warming Experiment, in which infrared heaters are warming different sites in the subalpine forest and in the alpine above treeline. Red Fir 10m: A 3-D representation of Danielle’s study site in Red Fir Forest of the Sierra Nevada captured using terrestrial laser scanning (Maptek I-Site 4400). In the 600m x 20m transect, she monitors all tree seedlings and measures a variety of climatic variables. This is a screenshot of Danielle interacting with her site via I-Site Studio software. 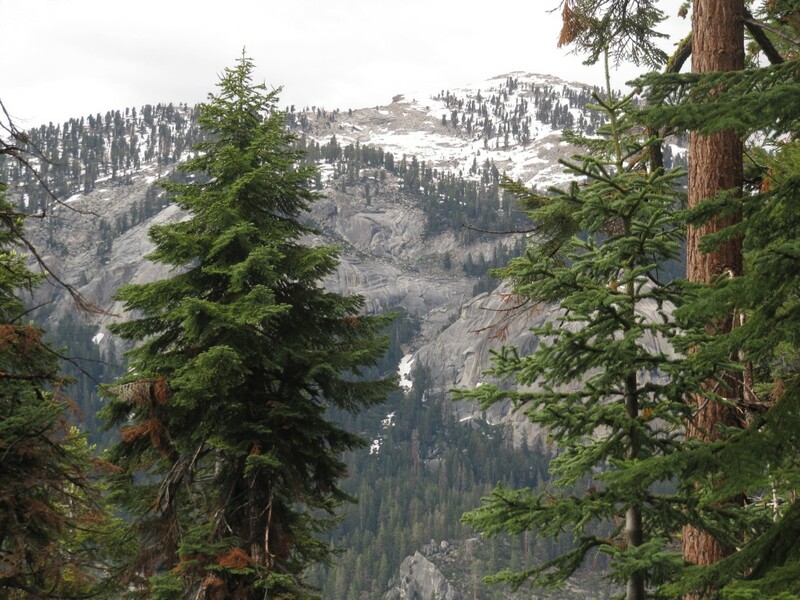 This project seeks to inform future management of California’s natural resources that are influenced by the distribution of forest vegetation; such resources include fresh water from the Sierran snowpack, timber species, and biodiversity. Better projections of how vegetation will change under possible future climates enable improved estimates of future resource availability. Thus, we can better assess the impacts to communities and the importance of climate change mitigation, as well as plan for adaptation. Danielle’s research on spatial scales in vegetation-climate interactions will specifically improve how we understand projections of future vegetation change. Additionally, her work will contribute to the theoretical understanding of mechanisms that influence the spatial distribution of plant species. Danielle completed her undergraduate studies at Texas A&M University, where she graduated with a B.S. in mechanical engineering. Before coming to ERG, she worked at NASA’s Jet Propulsion Laboratory designing miniature chemical sensors for extraterrestrial life detection on Mars and Europa. She then studied natural history with retired UC Riverside herbarium founder, Oscar F. Clarke, and later worked in the Marin Headlands for fellow ERGie Laurie Koteen on effects of invasive grasses on carbon and water cycling. In her free time, Danielle enjoys windsurfing with her husband, cycling the Berkeley hills with buddies, knitting and quilting, reading science fiction, and spending time with friends. Danielle is very grateful for the opportunity to engage in projects that will hopefully benefit society alongside of the dedicated and amazingly supportive ERG community. 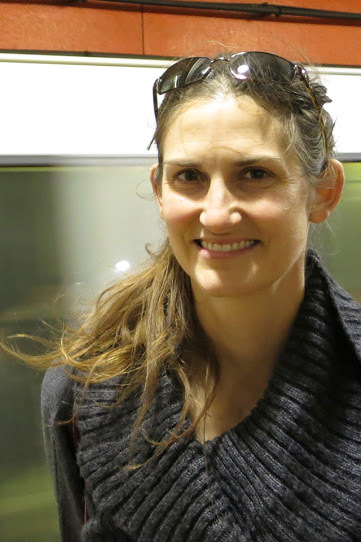 Her studies with John Harte (ERG) and the Harte Lab, Cari Kaufman (Statistics), Lara Kueppers (LBNL), and Margaret Torn (ERG/LBNL) have been especially enriching both intellectually and personally. She is especially grateful to her field assistants and undergraduate researchers. Danielle has also received the support of several organizations outside of ERG including the USGS Western Ecological Research Center, Sequoia National Park, Maptek, the Berkeley Atmospheric Science Center, the Philomathia Foundation, and the National Science Foundation Graduate Fellowship Program. Last but not least, the support and encouragement of her husband and family have made this venture into academia sustainable.